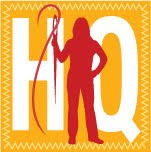 The History Quilter Podcast Episode #9 is now available via the link to the right, on Podbean at http://historyquilter.podbean.com/ or on iTunes (search for The History Quilter). In this week's episode I spoke about the history of hexagons, a few recipes I am working on to discuss in the next podcast and my thoughts of my first quilt guild meeting. Quilters by the Sea Quilt Guild. Check them out at www.quiltersbythesea.com. The lovely Marilyn Pond is the quilt guild president this year - please check out her blog at http://marilynpond.blogspot.com. Wonderful "rock star" moment when I met Beth of Love Laugh Quilt. 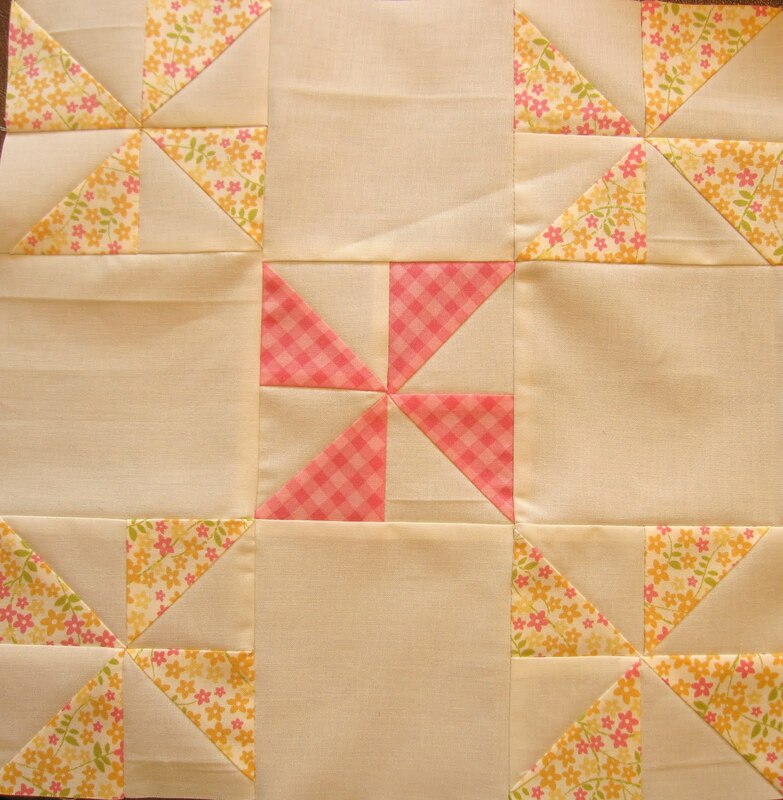 Please check out her wonderful creations at http://lovelaughquilt.blogspot.com/ . 2011 Southern California Quilter's Run: Two weekends - June 16 -19, 2011 and June 23 - 26, 2011. www.quiltersrun.com. 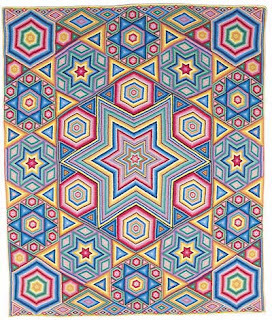 The Jelly Roll 1,600 Quilt: Check out this funny YouTube video from Heirloom Creations, a quilt store in Sioux Falls, SD. 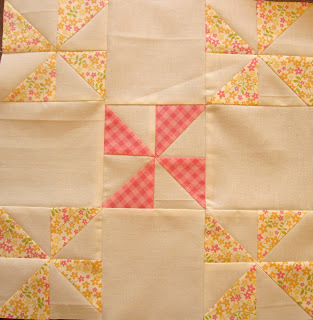 What a great way to sew up a quilt top FAST with Jelly Rolls. http://www.youtube.com/watch?v=EomX7t7to_o&feature=player_embedded . The Illinois State Museum has a website with a section dedicated to the arts which includes "Keeping us in Stitches: Quilts & Quilters". In the pieced quilts section, hexagons are illustrated with four different quilts which show the evolution of the hexagon quilt from 1870 - 1945. This gorgeous hexagon mosaic quilt caught my eye for it's modernity and symmetry. 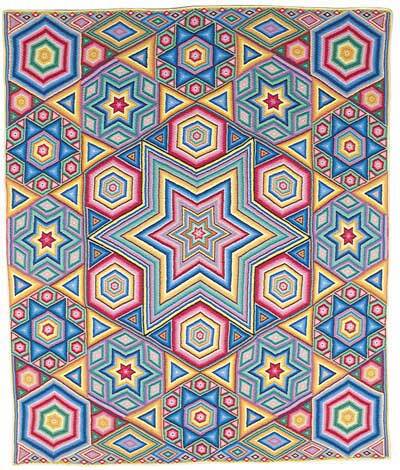 Make sure you check out the description of this quilt. I spoke about an Apricot Sauce or Salsa Di Albiocche that I made from The Silver Spoon, an English language translation of Il Cucchiaio d'argento, the Italian culinary "bible". I had eight ripe/almost too ripe apricots sitting on my counter and needed to use them up so I grabbed this cookbook, found Apricot Sauce in the index and went to work. The sauce is to die for. In a small sauce-pot, put the sugar and a scant 1 cup water and bring to a boil over medium heat, stirring until the simple syrup thickens. Add the chopped apricots to the simple syrup and gently boil about 5 minutes, stirring occasionally (I did use a potato masher to crush the apricots down to my personal preference). Turn the heat off and let the sauce steep for as long as you like. I poured the sauce into a pint sized glass jar and can't wait to pour it over Vanilla ice cream tonight. The recipe says it would go well with chocolate desserts and cakes. I did sew up Block 17 of the Block-A-Pallooza yesterday. I love pinwheels! It was so nice meeting you Susan. I hope we can have a nice long chat over lunch some day in the not too distant future. Maybe Beth will join us.